Impaired driving is a very serious criminal offense in the state of Ohio, and merely requiring suspected drunk drivers to submit to a field sobriety test or breathalyzer is not the only course of action law enforcement officials will take when determining the sobriety level of a driver. There are other methods of testing drivers that include chemical tests searching for the presence of other controlled substances. Particular among other substances is marijuana, which can be difficult to detect other than relying on officer testimony. Tests can be performed that indicate the presence of the active ingredient known as THC, but there are still problems with the results when determining latency. This is why it is vital to have an experienced Ohio DUI attorney representing the case. 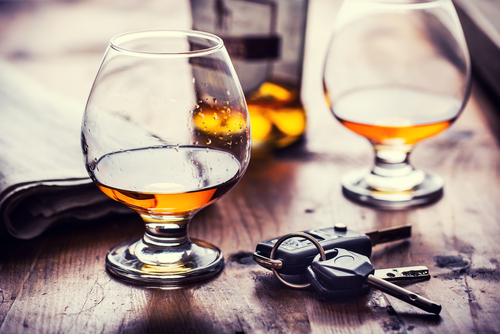 Alcohol is a chemical that can be measured discreetly for blood concentration, and the allowable standard across the U.S. is a .08 result for being sufficient to charge a driver for impairment. A breathalyzer is performed after a driver has failed a field sobriety test according to officer testimony or a video tape of the process, which is becoming much more common. This gives the state more supporting evidence. Another common test when checking for THC is a urine test, but this is a legally problematic test that does not produce any measurement of potency in the system at the immediate time of the stop. It only measures the level of THC and the chemical can remain latent in the system for up to 30 days for the average person. This means that anyone who uses marijuana regularly could be charged with an OVI offense at any time when they are stopped merely by the officer requesting a urine test. Blood tests tend to be more reliable than urine tests when detecting chemicals in the body, often resulting to definitive levels of certain chemicals. This test is usually reserved for illegal drugs that can leave the body system quickly and show an immediate presence to justify an impaired driving charge. All impaired driving charges carry the potential for a jail term, requiring legal representation. Always call a professional Cleveland DUI lawyer for comprehensive legal defense.